Robert Bruce: What do the actors Laurence Fishburne and Alec Guinness have in common? 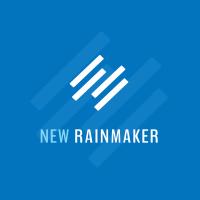 This is New Rainmaker, from rainmakerplatform.com. 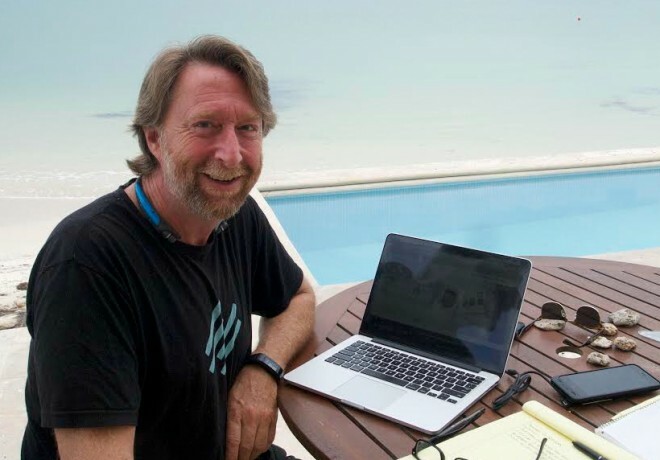 I am Robert Bruce and today Brian Clark follows an ancient thread that began thousands of years ago, but has critical relevance to how you can build your audience — and your business — today. Brian Clark: Thomas has a problem. His problem has come to define him. Night after night, he searches relentlessly online, looking to solve the dilemma that occupies his mind and robs him of sleep. Despite the impressive search tools at his disposal, it’s social that starts him down the correct path. A friend of a friend leads Thomas to a new social hub, where a mysterious woman named Trinity seems as if she knows him. Trinity turns out to be the person that leads him to the man who would become his mentor, a man named Morpheus. Thomas knows this is what he needs. Morpheus makes Thomas Anderson – also known by his online handle “Neo” – a proposition. Stay in his ordinary world, or discover the answers and solutions he’s sought for so long and be utterly transformed. But because he believes in Morpheus even more than he currently believes in himself. Thanks to the help he receives, Neo eventually comes to also believe in himself, and that is the true goal of his journey. Yes, this is the how the film The Matrix begins and develops. It’s one of the most beloved science fiction movies of all time, and it’s a classic example of a story that follows the timeless Hero’s Journey paradigm as outlined by mythologist Joseph Campbell. Yeah, that’s cool Brian … so what? Well, hold that thought for a bit, as we take a quick look at how the classic sales funnel works in a media-first strategy. Brian Clark: The concept of the sales or purchase funnel dates back to 1898, when a guy named Elias St. Elmo Lewis mapped a theoretical buyer’s journey from attention to the point of purchase. Surprisingly, no one seems to call it St. Elmo’s Funnel, which seems to be a missed opportunity. The funnel isn’t a perfect metaphor for the sales process, as we’ll discuss later. But most people are familiar with it, and frankly, it works just fine at illustrating the buyer’s journey with a “media-first” approach – as long as you update the elements. Most sales funnel concepts start with the attention of the prospect, and that’s the first mistake when applied to today’s buying reality. The first element at the very top of the New Rainmaker funnel is actually Unaware. Thanks to the research and networking capabilities of the Internet, the sales process often begins before the prospect is aware that you exist, and certainly before you’re aware of them. More importantly, you have to understand the way the prospect views the world and relates to the problem or desire they have before you can consider how to attract and hold their attention. Next comes Attraction, where traditional sales funnels typically begin. Online, this means your content comes up as a relevant result for a query in a search engine. Or, it could mean that the prospect spots your “social object” content because it’s shared within her social networks by your existing evangelists. It could even mean an extremely well targeted advertisement that offers desired information instead of a product or service pitch. Following Attraction down the funnel is a “P” word, but it’s not “pitch” – it’s Permission. 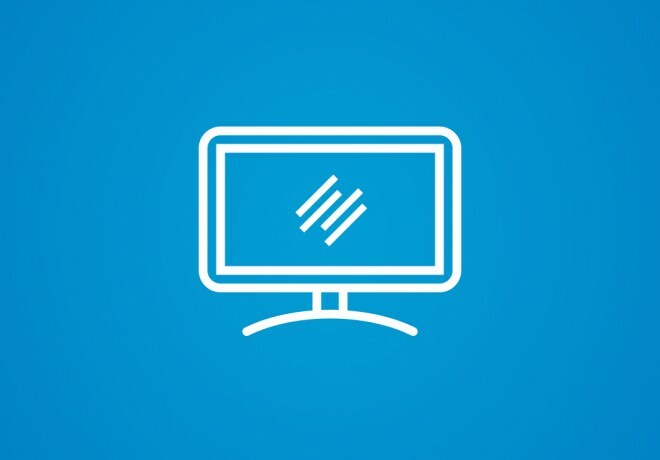 We’re building an audience here, because audience is a business asset that provides returns over and over again for the long term, as well as the short. If that sounds squishy to you, just realize that the most grizzled of pay-per-click direct sales veterans have learned that you sell more by getting people to opt-in to a permission-based content stream than you do by selling immediately. This is the way of the new rainmaker. Finally, we have Conversion, the point following Permission where your goal of acquiring a customer or client becomes reality. As I mentioned earlier, the sales funnel is designed to illustrate the journey taken by a typical buyer, and this is the destination. Let’s talk more about journeys. In addition to picking back up on The Matrix thread, we’ll touch on Star Wars, too. Robert Bruce: Four and one half billion dollars. According to the best information I could find, that’s the current worldwide total box office gross of the Star Wars movie franchise. Yes, that number was billion, with a “b.” And that doesn’t count related merchandise and all the rest. Where did the basic idea for this massive financial and cultural hit come from? Brian Clark: In the book The Hero with a Thousand Faces, Joseph Campbell identifies a “monomyth” that has a fundamental structure shared among stories that have survived for thousands of years. Campbell’s identification of these enduring, identically-structured myths from disparate times and regions has inspired modern storytellers to consciously craft their work along the same lines, which is also known as the hero’s journey. Most notable among those inspired by the hero’s journey is George Lucas, who acknowledged Campbell’s work as the source of the plot for Star Wars. This same structure has been used by companies as diverse as Apple and Subway to create amazingly effective advertising campaigns, because the monomyth mirrors the way we view our own journey through life. As a digital media producer, you can also consciously incorporate the hero’s journey into your content creation. In fact, it’s the exact way that people view themselves moving down the proverbial sales funnel, and it’s your content’s job to facilitate the journey. Getting back to The Matrix, what was Neo really searching for night after night? He was driven to solve the riddle “What is the Matrix?” but he was specifically looking for Morpheus – the mentor who would help him answer that ultimately complicated question. Again, I sense your impatience with my pop culture analogies, young Skywalker. Hang with me. Let’s see how the classic elements of the Hero’s Journey match up to the New Rainmaker funnel. I think you’ll be amazed at the congruency. Our would-be hero starts off in the ordinary world of their lives. Suddenly, a call to adventure occurs that draws this person toward taking the heroic journey that is their destiny. Initially, there is resistance to the call, due to skepticism or uncertainty. Then, just at the right moment, a mentor appears. This guide often possesses some sort of supernatural abilities that make the journey possible. With the help of the magical mentor, our hero crosses the threshold from the ordinary world into the world of transformation. So, put simply, the “Ordinary World” is the Unaware phase of the funnel. This is the life your prospect leads before deciding to seek some form of transformation, and this is the worldview you must seek to understand to best guide them on their journey. They may have the specific problem or desire at this point, but they’ve not acted affirmatively to deal with it. The “Call to Adventure” is the Attraction phase. Either through a self-directed search, or a “call” presented by sharing on a social network, or even the right advertisement at the right time, the idea that the problem can be solved or the desire satisfied has been presented. Resistance to the call is likely present – and that informs you as to which type of content will combat the initial resistance and propel the journey forward. “Meeting the Mentor” corresponds with Permission. At this point, the prospect knows, likes, and trusts you enough to look to your content as a guide. They opt-in or register to find out more, and they provide permission for you to contact them over time. This is the pivotal point that determines who and how many will choose your product or service as their solution. Finally, your content helps the prospect “Cross the Threshold” into the world of transformation, which is Conversion. This is where they believe that your product or service is the solution, and proceed through the rest of the journey as a customer or client. Let me repeat … Conversion is not the end of the journey. It’s simply an important inflection point of what will hopefully be a longer-term journey together. Too many people have a mentality that neglects the value of nurturing customer relationships, opting instead for the frustrating (and expensive) task of hunting for others. Now all this talk about “business storytelling” makes more sense, especially when your content strategy aligns with the most powerful story structure of all time. But is a funnel that best way to help you tell that story? For the answer to that, let’s look again to The Matrix. Once Neo find his mentor, Morpheus makes him an offer involving a choice between proceeding, or turning back, on his journey. If he takes the blue pill, he goes back to his ordinary world. Or, he can choose the red pill, and find the answer to the question that drives him and open himself up to transformation. Isn’t that the essence of making an offer to buy? And yet, in the film and in business, the journey continues. The sale is a major conversion point, sure … but hasn’t the process of conversion from unaware to believer been happening gradually all along, not just at the moment you offer something for sale? And doesn’t the process continue beyond the first sale, at least for smart companies? It’s time for a better model. 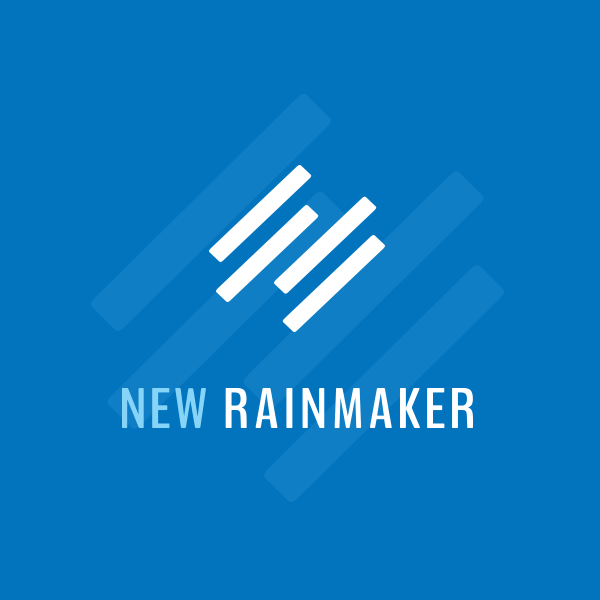 Brian Clark: As I mentioned earlier, the sales funnel may not be the best way to think about the New Rainmaker conversion process. Not just because it’s well-worn… but rather because it doesn’t truly reflect reality in two important ways. One, the funnel is supposed to reflect the fact that there are a bunch of people at the top levels of the funnel, but a much smaller number actually convert to customers and clients. In physical reality, a funnel passes through everything that enters it — it just reduces to a smaller stream at the narrow end and slows things down. This is not how it works in business. Two, as alluded to earlier, the funnel model implies a one-time conversion event which ends the process. In modern business, this is not how it works either. I’ve started thinking in terms of circles instead of a funnel. Concentric circles, to be precise. Circles are concentric to one another when they share the same center point. And here’s a fun fact … the meaning of medium (the singular of media) in the original Latin is center. For our purposes, the center point of these concentric circles is your business as media producer, and each circle represents a varying degree of belief. You create media content that draws people from the outer circles in closer to you at the center as their level of belief increases. If that sounds “out there,” no worries. It’s actually very simple. Imagine seven concentric circles. The two outermost rings represent Attraction in the funnel, but they’re more powerful in this context. The outer ring is your followers on social platforms, like Facebook, Twitter, LinkedIn, and Google+. Despite all the fuss about social media, this is your coldest circle, meaning those who trust you the least, assuming this is the only circle they currently occupy. The next ring in from social is search. This is a higher value discovery channel because of the focused intent of the searcher, but also a higher belief channel, because after all — if Google believes your content is the best answer to the question, so likely does the searcher. Building up your Google+ following will have you appearing more prominently in relevant results for these people — an example that illustrates how social and search will continue to integrate more tightly as we move forward. The ring inside of that shifts from Attraction to Permission, and represents your general email and RSS subscribers. In other words, if you publish regularly on the open web (and whether you call it blogging or not), or you have a podcast or video show, this is the group who has raised their hand to have this content delivered to them by you. 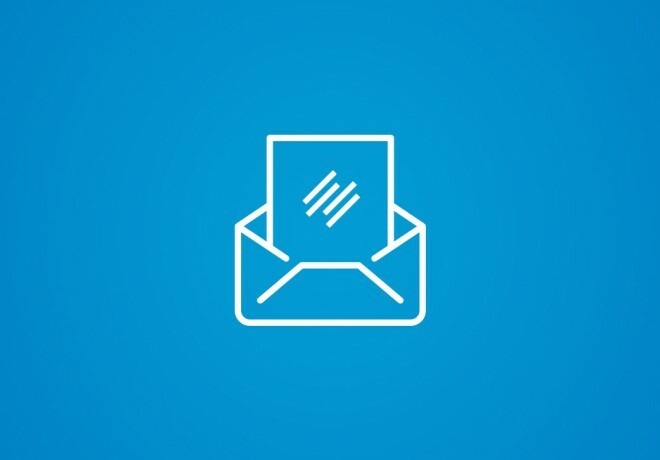 Next up is one or more email sub-lists designed specifically for focused lead generation and conversion. These people have opted in to be further educated, but also with a corresponding interest in how your product or service can solve their problem or satisfy their desire. The remaining interior rings represent the various client or customer relationships you can create. One-time customers are great, but repeat and recurring customers mean you’re running a smart business. And don’t forget that often, acquiring a customer with a gateway product means you’re simply breaking even on attracting them in order to sell your higher value solution next. I’ll illustrate all of this clearly for you in two upcoming webinars. Just remember that not everyone moves into the inner circles (not even close) … but the better you are at inspiring belief with the value you deliver and the authority you demonstrate, the more people will gravitate closer to you and your solution will become central to them. As long as you never forget rule number one, that is. Brian Clark: In The Matrix, Morpheus helps Neo at all costs because he is The One – essentially the “messiah” of the Matrix. It’s no mystery why the film employs the hero’s journey format, given that the stories of Christ, Moses, and Buddha (among others) follow the same structure. The point here is not to delve into religion (although all this talk about belief, evangelism, and conversion may have you thinking otherwise). The point is rather that your prospect is the hero – the main focus of the story. Helping your prospects makes them into the saviors of your bank account. This is your primary role. The mistake most often made in “marketing” is thinking of your business as the hero, which results in egocentric messages that no one else cares about. The prospect is always the primary hero, because they are the one going on the journey — whether big or small — to solve a problem or satisfy a desire. Instead of egocentric, think concentric, and help the hero on their journey by guiding them closer to you and your solution. By making the prospect the primary hero, your brand also becomes an important hero in the prospect’s story. By accepting the role of magical mentor with your content, your business accomplishes its goals while helping the prospect do the same, which is how business is supposed to work, right? This, again, is a benefit of media over marketing. With a media-first strategy, it’s easier to focus on telling a story over time that focuses on them. With “marketing,” on the other hand, you’re tempted to make it directly about you. Bad idea. The prospect is Luke Skywalker. The solution provider is Obi-Wan. What’s that? Oh … did I refer to you “young Skywalker” earlier on? You noticed that, huh. Well … The Force is strong in this one … clearly. Robert Bruce: This is your last chance. After this, there is no turning back. You take the blue pill — the story ends, you wake up in your bed and believe whatever you want to believe. You take the red pill — you stay in Rainmaker-land and we show you how deep the rabbit-hole goes. Thanks for listening to New Rainmaker. 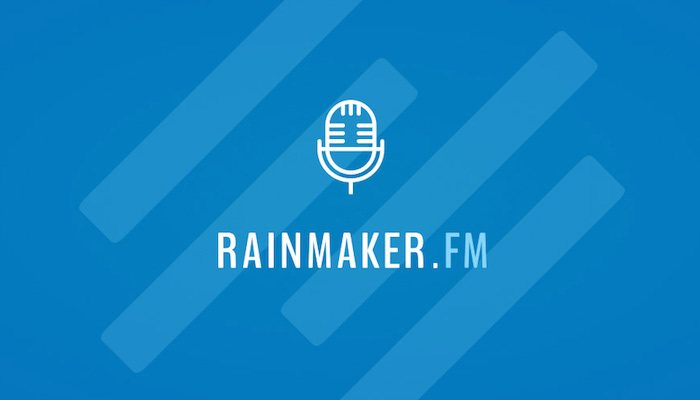 If you like what you’re hearing … and you haven’t already … go sign up to get everything — including the two very important webinars we’re about to record, that will only be available to email subscribers — at rainmakerplatform.com.